PEN15 is making the rounds lately, and it’s apparently certified fresh on Rotten Tomatoes. Most of the reviews mention something about how, if you can get past the conceit of two thirty-year-old actors playing thirteen-year-old characters surrounded by actual thirteen-year-olds in the rest of the cast, the stories are real accounts of all the joy, awkwardness, and pain of growing up. I tend to agree with these reviews: while there were a few times I was concerned with the age differences in the cast and how they were legally permissable in some shots (there’s a lot of discovering sexuality in the show, because let’s face it, everyone is thirteen), those few scenes were handled well and the rest of the show didn’t concern itself with the actual difference. Maya and Anna are just girls in their first year of middle school. I don’t think I really got the show until the third episode, Ojichan. In this episode, Maya discovers her sexuality and Anna’s parents fight a lot. The interwoven storylines come to a head when Maya confides in Anna that sometimes she puts her hands between her legs because it feels good, and Anna says she does too — but it’s revealed that Anna’s comforting herself from hearing her parents’ marriage fall apart, instead of masturbating, like Maya. The two friends have multiple falling-outs over the season, but the viewer is always shown both characters completely, in a way that lets us identify with and relate to both. Ultimately, they love and support each other, and I found myself wishing I’d had those kinds of relationships when I was in middle school. 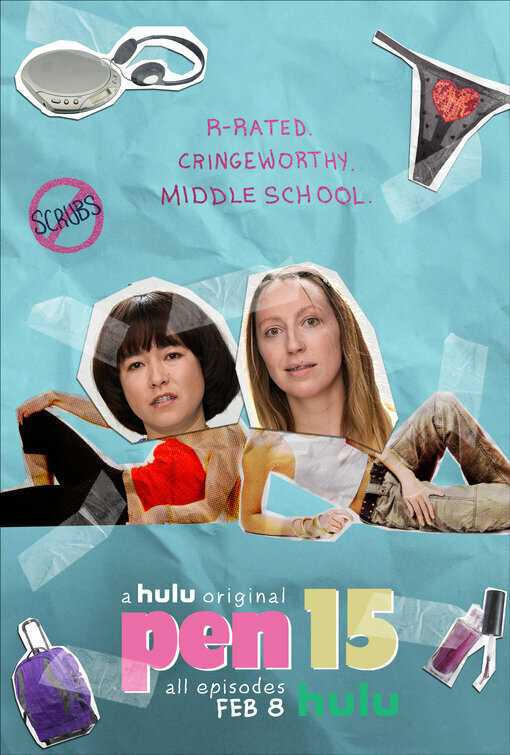 PEN15 is funny, weird, awkward, and heartbreaking all at once — just like being thirteen. I really appreciated it.